Leveraging on our vast vendor base, we have been able to meet the growing demands of clients in terms of White Granites. These are known for better finishing, good calibrations and accurate dimensions. Further, these are available with good almandine garnet encrustations. Sparkling Cotton White Granite Slab is one of the elegant Granite Slabs, available with us. 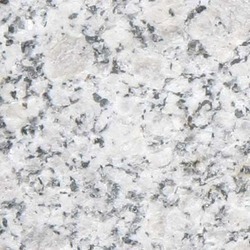 Our Cotton White Granite Slab is highly popular amongst the international clients, as it has a unique finish and looks. 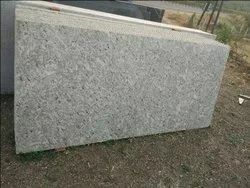 Cotton White Granite is a well known product all over. We offer this rosy pink granite stone with black and white patterns as engravings.